Data deletion on your precious digital media can strike you at any time. Are you looking for ways to stay safe from the issues associated with sudden data deletion? The best alternative to getting your data back in a few simple steps is Recoverit Free. When it come to data recovery purpose Recoverit Free is certainly the best choice. How does it help you in recovering lost data? Let us find in the following paragraphs. 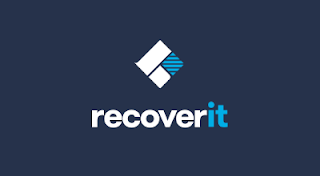 Recoverit Free is a free data recovery software that can be best used on your Windows and Mac PCs. The best part of it is it can be used to recover lost data – not only from your PC but also from removable devices like memory cards, USB drives or any kind removable media. Recoverit Free is capable of recovering lost or deleted data for free upto 100mb as well. Why Should You Use Recoverit? 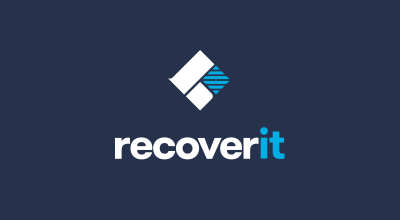 Deleted Files Recovery: Whether you accidentally deleted files on your computer or you were impacted by a virus, Recoverit offers complete data recovery for deleted files from a full range of data types. Recycle Bin Recovery: It always happens that you send important data to the recycle bin and delete it by accident. Data deleted from the recycle bin is not permanently deleted but recoverable. Formatted Drive Recovery: Data loss from a formatted Drive can be caused by a number of different scenarios. Recoverit simplify the process to recover the data that is important to you. Virus Attack Data Recovery: Recover data lost & deleted or files damaged and corrupted by virus attacks such as computer virus, worms, Trojan horses, and other malware. What Makes It The best Option To Recover Data for You? You can use it on both Windows and Mac powered PCs. Automatic deep scan option lets you completely automate the process. You need not confirm anything and thus it saves you time and effort. You have access to top quality support service. No matter whether you are a free user or a paid one, you will get all kind of support in the form of phone, Email and live chat channels. There is a limitation though in the free version of the tool. You would be able to recover only 100 mb of data. If your requirement exceeds that limit, you may need to go for the Pro version. Also, the free version does not come with technical support. The ease of use is what makes it an interesting tool for recovering deleted data from your pc.laptop and other removable media. The scanning may not be on par with high-end offerings available in the market, but still – being a free tool, it can be your best friend in cases of loss of valuable data from your devices. The Pro version will give the excellent results if you want better features. Even then, we would emphasis on the free version that works the best for most of the practical purposes.